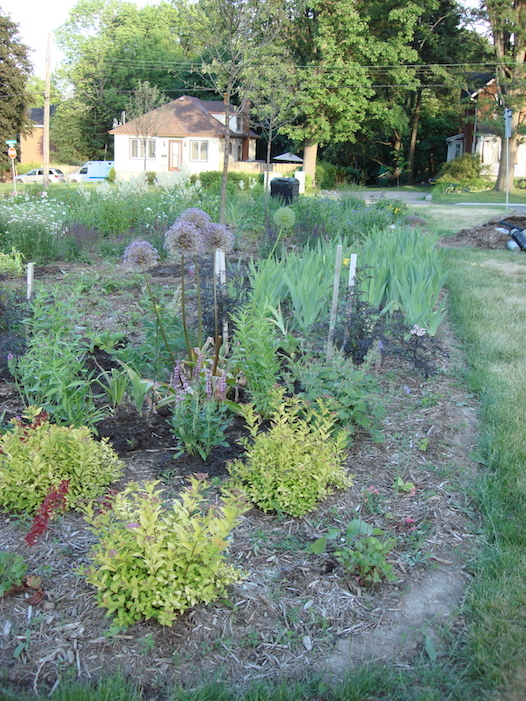 There is a garden in our city, that had its humble beginnings as a traffic island. 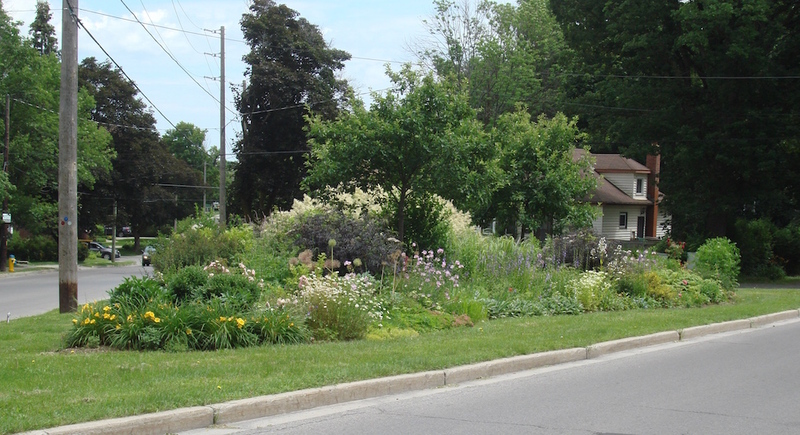 That island, formerly useful but quite ugly, got its start when a neighbour, passionate about sharing his garden, turned that island into a stunning garden. 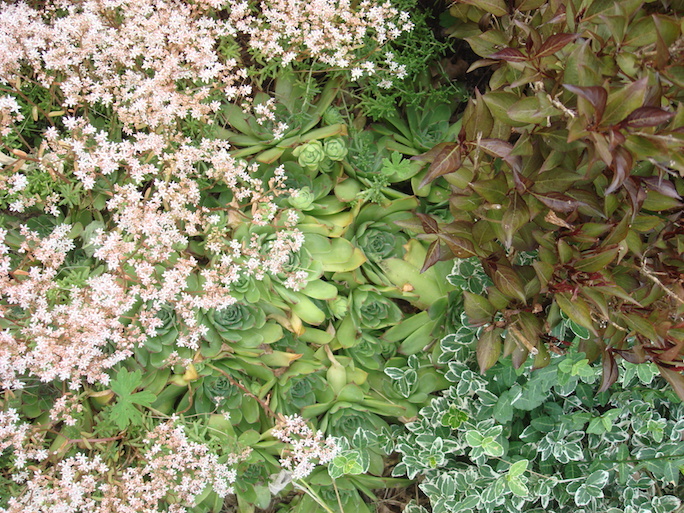 Over the years, this gentle gardener added many plants and even a pond. 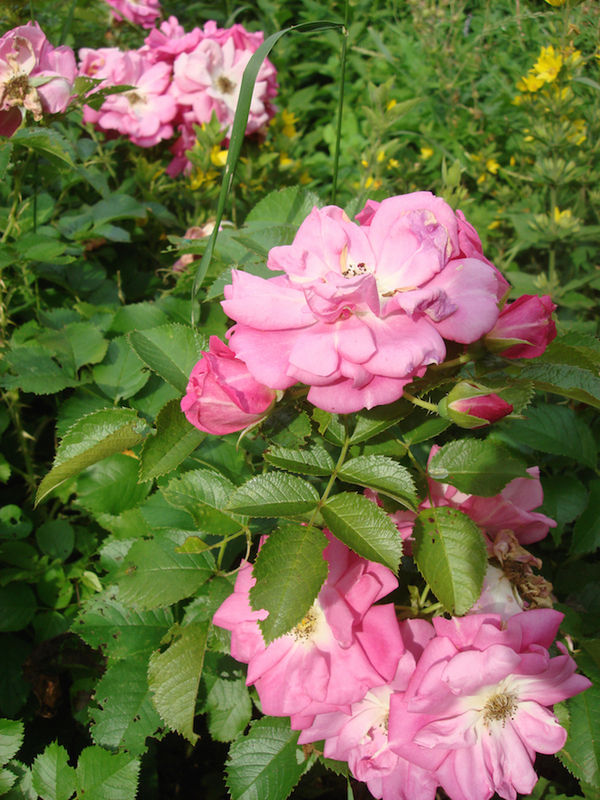 However, when his health failed, so did the garden. 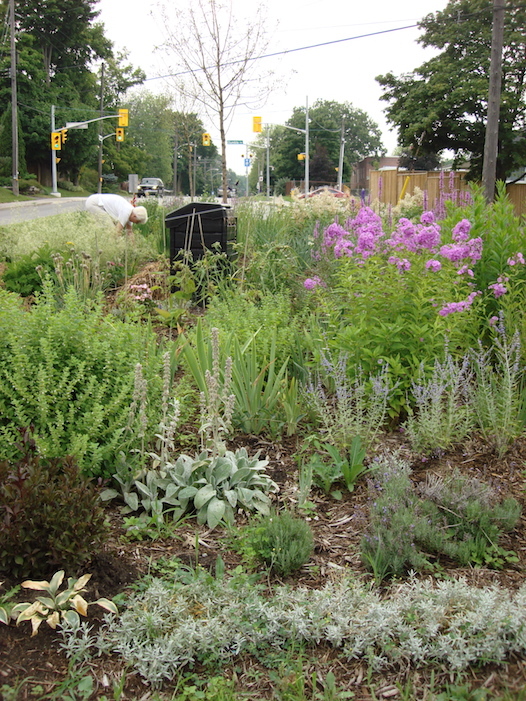 In 2009, a few neighbours and friends decided to re-do the garden. We salvaged many of the original plants, and placed them in a "nursery bed" at one end of the island until we could take an inventory. 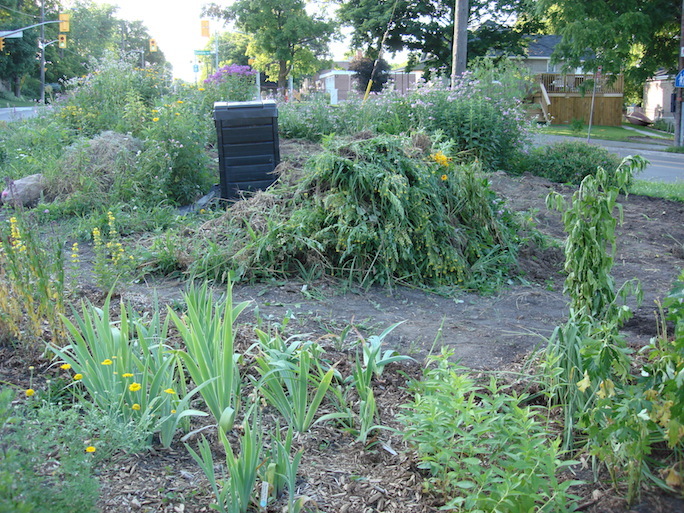 Hours of work, and piles of weeds. A year later, we had a plan, lots of plants- and a "garden". 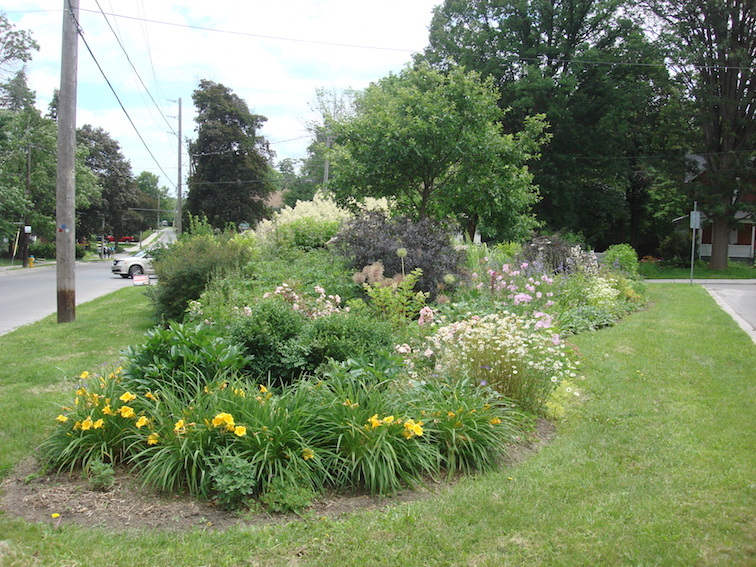 With a grant from the Peterborough Horticultural Society, we added more perennials, some shrubs and small trees. And soon.... everything started to really grow. 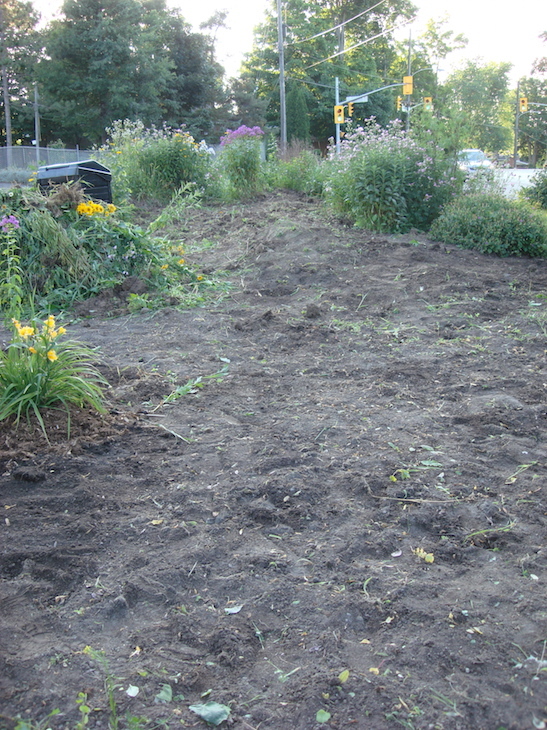 With other monies we raised, we bought 3 Dolgo Crabapple trees from the city and had them planted. That first fall, we gathered the little apples, and made jelly... second place in the Hort. Society fall show !!! In between times we have struggled to find volunteers... but in the grand scheme of things, folks are busy... and we four who started, are still here. 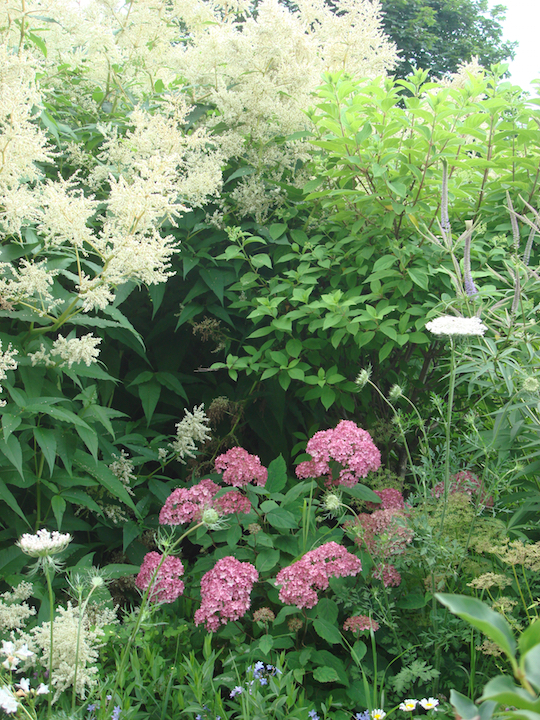 Tree and Shrub category for Manitoba/Alberta/Ontario Gardener’s National Gardening contest. 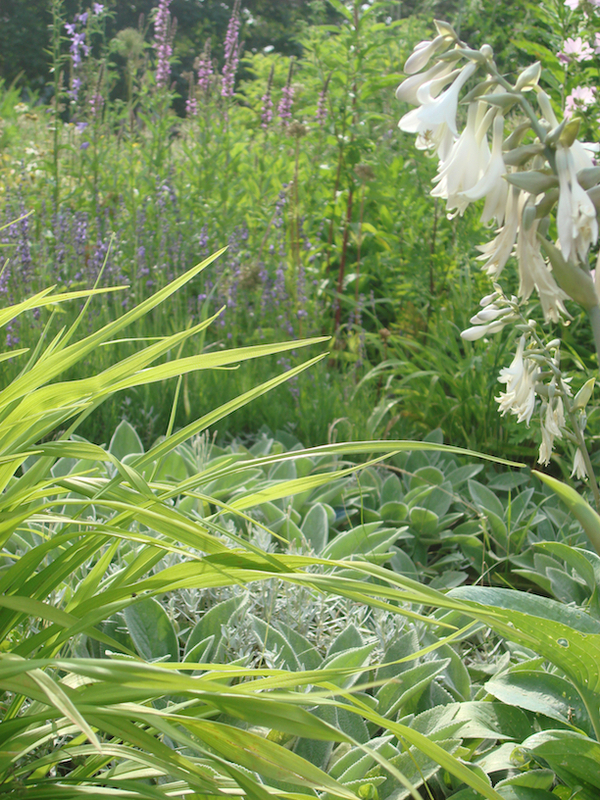 We will be featuring the garden in the Fall Beautiful Gardens issue of all three publications.